Everyone's talking about espresso, but what is it? 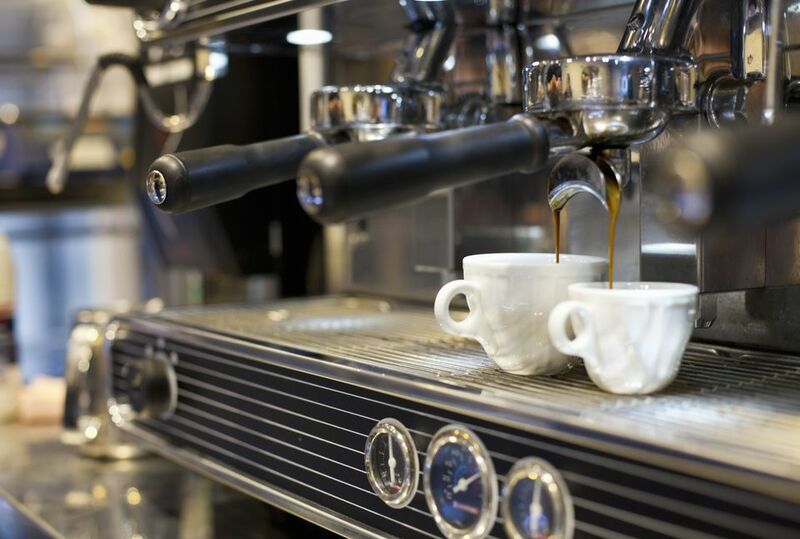 Espresso is a specific style of coffee drink that is 'pulled' from an espresso machine that is designed for this single purpose. Espresso can be enjoyed on its own for its full, rich coffee flavor. It is also used to create many different coffee drinks, from cappuccinos to lattes, and the majority of drinks you find on the coffeehouse menu. Let's take a closer look at this powerful little cup that allows you to experience the true essence of the coffee bean. Espresso is commonly misspelled and mispronounced as 'expresso.' There is no 'x' in the word and you'll sound like a true coffeehouse newbie if you include it. Unlike most coffees, espressos have “crema.” This is a froth of reddish-brown color that forms when air bubbles combine with the soluble oils of a fine-ground coffee. The crema adds to the rich flavor and alluring aroma of espresso. Oftentimes, the crema is a mark of a proper espresso made with a quality, perfectly ground coffee by a skilled barista. Crema and espresso’s quick extraction process give espresso a fuller flavor, longer aftertaste and lower caffeine content than drip coffee. By itself, espresso is served in 'shots' with each shot measuring about 1 ounce. Double espressos are two shots (also called 'Doppios') and are more popular than single espressos. Regardless of the size, espressos are usually poured into a demitasse cups. These are the small, often white, cups you see in coffee shops and restaurants and each holds 2 to 4 ounces of espresso. For quality control purposes, many coffee houses choose to only offer double shots. Other coffeehouses also offer single shots and lungos. Though a serving of espresso is called a 'shot,' it is not meant to be drunk in a single gulp like you might take a shot of tequila. Instead, espresso is meant to be sipped slowly so you can enjoy it's full, rich flavor. The full flavor of espresso makes it the ideal base for mixing coffee drinks. That is why the espresso machines at the busiest coffee shops rarely stop working. The taste of a double shot of espresso will not get lost in a 12- or 16-ounce coffee cup filled with steamed milk and other ingredients. Coffeehouse menus expand and develop rapidly and there are many drinks to choose from. Many are simple variations on one of these drinks which all begin with a shot or two of espresso. Cappuccino - A short steamed or frothed milk drink with a single shot of espresso. Caffé Latte - A tall steamed milk drink with a double shot of espresso. Lattes are often flavored with syrups. Caffé Americano - A shot of espresso topped with hot water to fill a 6-ounce cup. It's a nice alternative to drip coffee when you desire a tall drink but still want a rich flavor. Red Eye - The ultimate caffeine jolt, this drink is a shot of espresso on top of a cup of regular coffee. A Tall Drink of Espresso or a Bitter Pill to Swallow? Do You Know What's in Your Sausage? How Important Is the Perfect Espresso Crema?